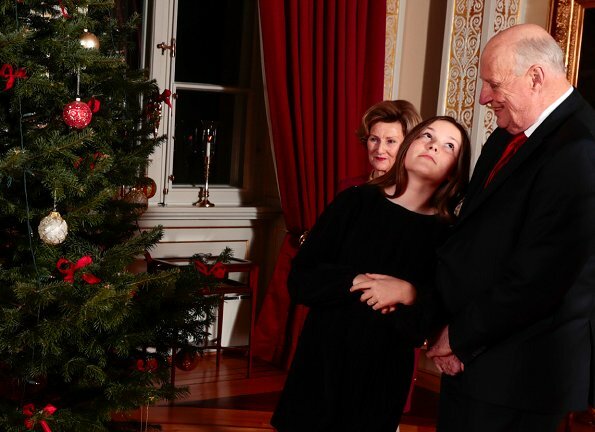 The Norwegian Royal Family has released their annual Christmas photos today. 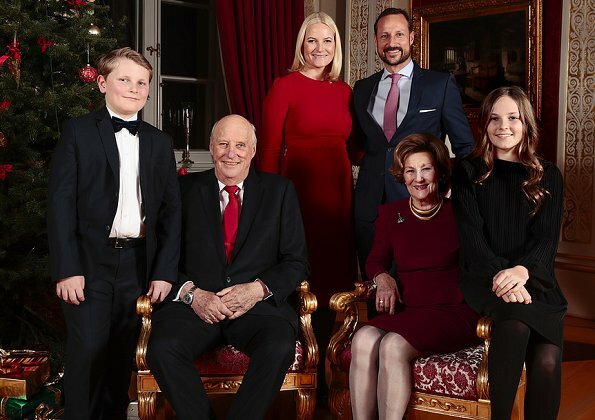 On December 19, 2017, King Harald, Queen Sonja, Crown Princess Mette-Marit, Crown Prince Haakon, Princess Ingrid Alexandra and Prince Sverre Magnus of Norway attended the 2017 Christmas Photo Session at the Royal Palace in Oslo, Norway. 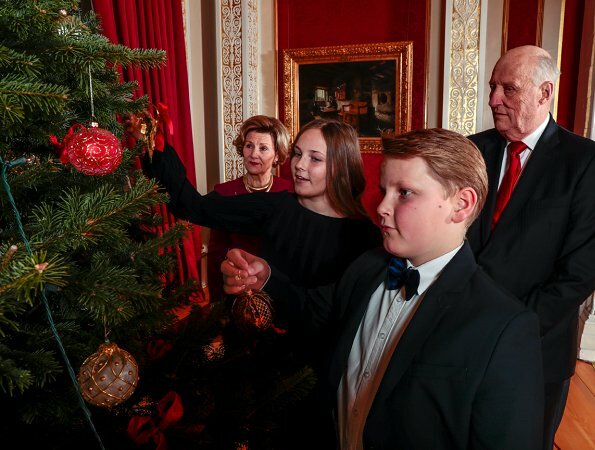 This is an annual tradition for the Norwegian Royal Family. 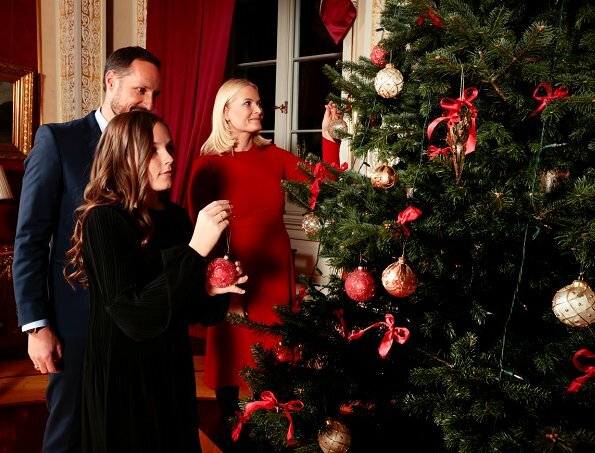 Nice family but there is a very strange light in the pictures. And where is Marius? Marius lives in Milano at the moment. He is studying to be a fashion designer. He wants to be a private citizen so he's not included in these types of photos. Marius told last year, because of the haunting by the press that he wanted a private role and therefor he is not on official photos. How charming Ingrid Alexandra is! Yes, a really beautiful girl! A nice and handsome family. Princess Ingrid is going to be a beauty! 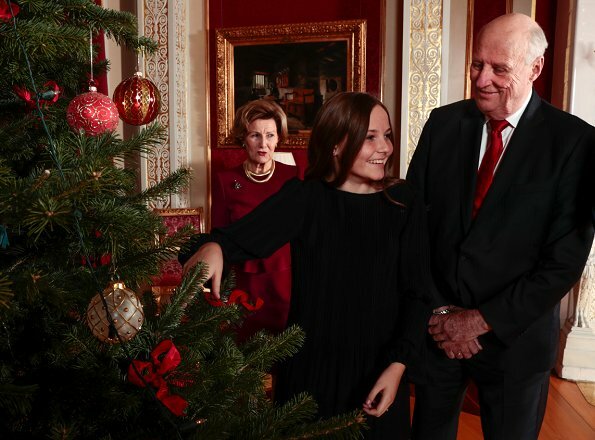 These are really lovely Christmastime family photos. Re: Marius, I think it was agreed when he reached a certain age that he preferred to live more privately and not be pictured in these photos. I really miss her in the picture. I just love this family! Always loved this dress, and it is the perfect color a Christmas photo session. Lovely pictures, and lovely family indeed. 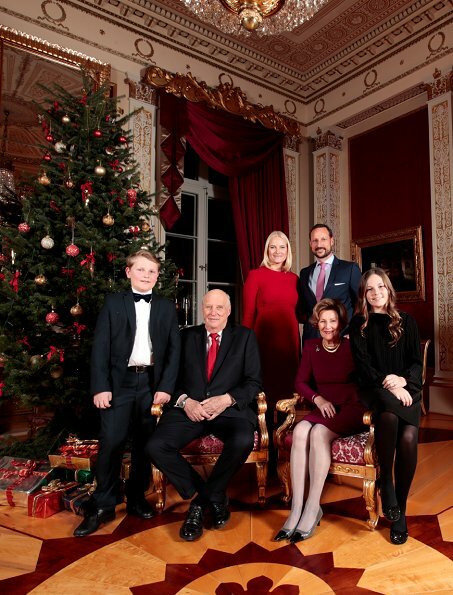 Nice Christmas card, lovely family. 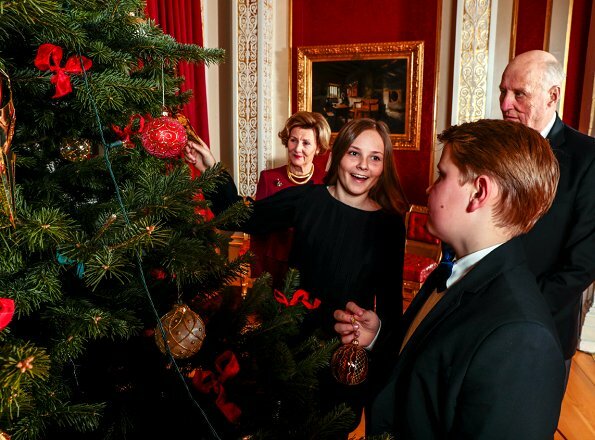 What a warm Christmas atmosphere those pics are sending out to the Norwegian people from their royal family. Elin, I don't find the light 'strange' just cosy! Lovely family photos. 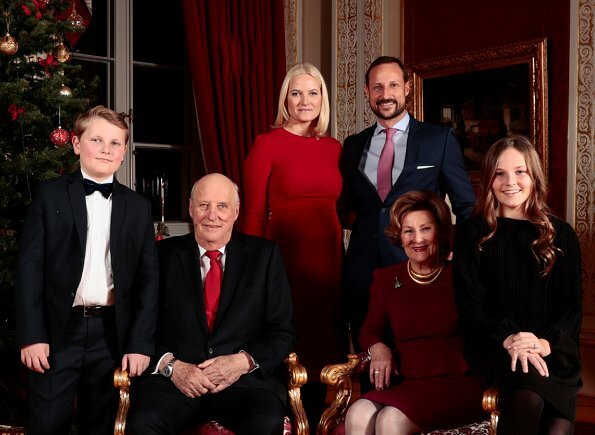 But I agree the lighting is strange in the group shot as a shadow is being cast on the queen's face - not very professional. Totally agree, the lighting is terrible, not professional at all! Totally agree, lighting is terrible, very unprofessional! Delightful family photos. I like MM's dress and she looks so relaxed.